In the 1970s, the Tampa Catholic Crusaders were one of the most successful high school teams in the State of Florida. 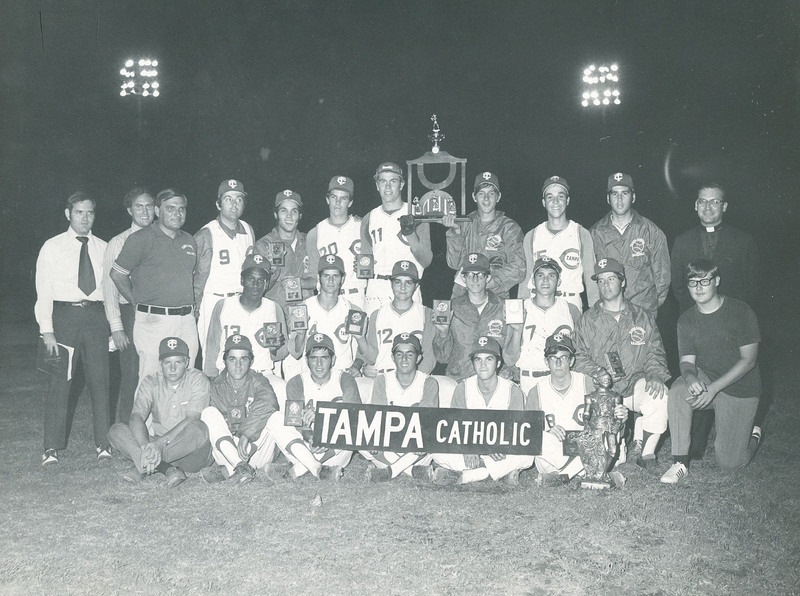 Between 1968 and 1979, Tampa Catholic high school won six state baseball championship. They were coached by Pete Mulry. Hired directly out of college, the St. Leo University alum led Tampa Catholic to its first state championship in his first year as manager. These teams were load with talent, as many players went to play professional or collegiate baseball. 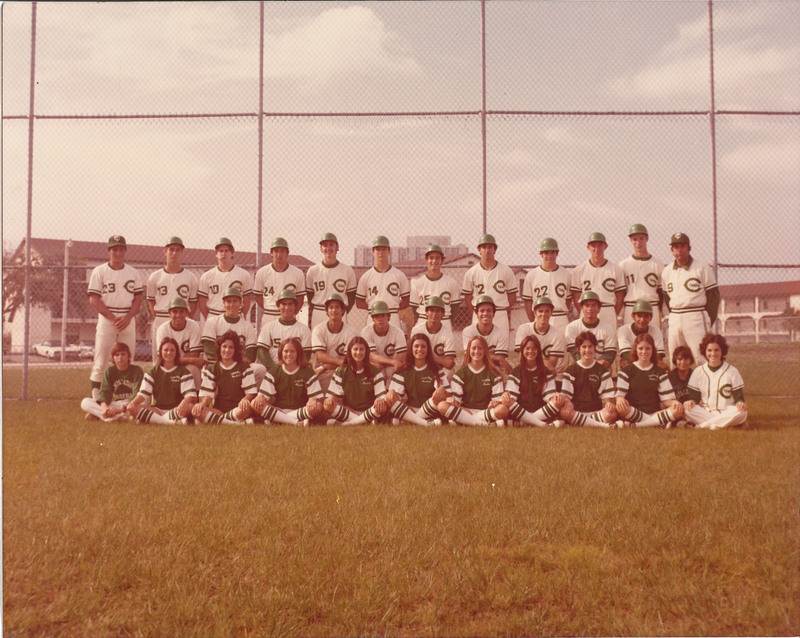 During the late 1960s and into the 1970s, the Tampa Catholic Crusaders dominated high school baseball in both Tampa and Florida. 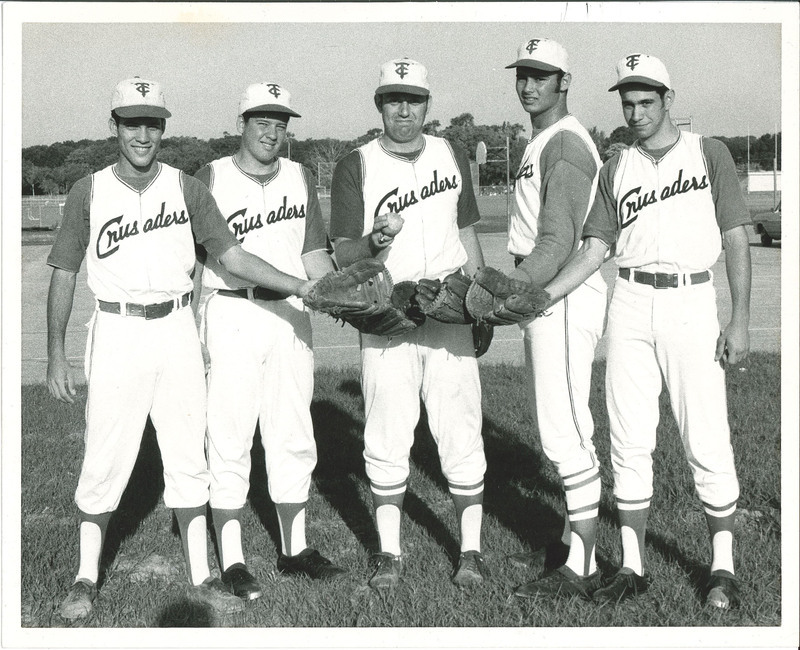 During an eleven-year span, the team won six state championships: 1968, 1971, 1973, 1974, 1976, and 1979. The Crusaders were led by Pete Mulry and included many future college and professional players. 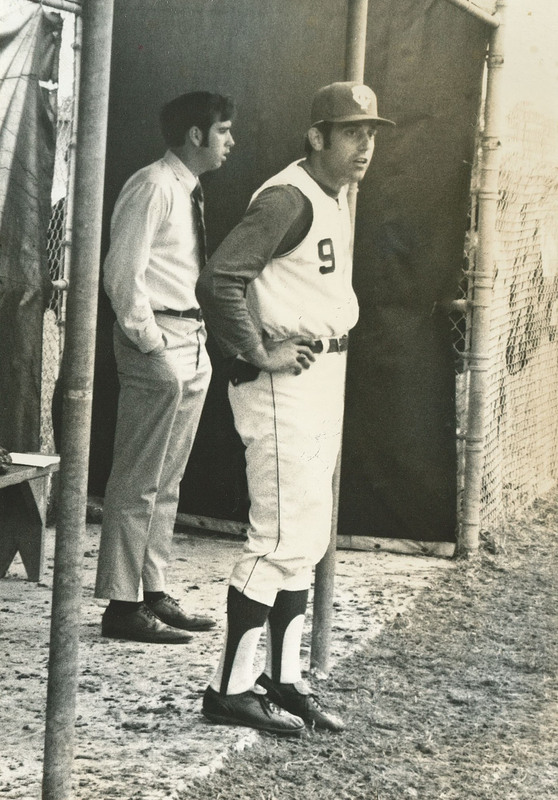 After graduating from St. Leo University in Tampa, Mulry was hired as a social studies instructor and baseball coach for Tampa Catholic in 1968. While playing baseball for St. Leo, his prospects for a career in professional baseball were hampered by an injury. In the first year with Tampa Catholic, Mulry coached three sports (football, baseball, and basketball) and taught five classes. Mulry’s connection with the game – along with the influence from his parents – allowed for his success. In reflecting on his upbringing in Jersey City, NJ, Mulry remembered his father teaching him the fundamentals of the game while his mother, and her love for the theater, influenced his preparation both on the field and in the dugout as coach. One of Mulry’s most memorable seasons came in 1975. Tampa Catholic had won the previous two state championship and were aiming for a third straight. Played in Palatka, the Florida state championship game that year pitted the Crusaders against Milton High School. Milton took an early 1-0 lead. In the sixth inning, the Crusaders had the bases loaded with their best hit at the plate. Also during that inning, the skies turned dark and rain began to fall. The game was rained-out and Milton won the game and the Championship. What Mulry remembered about this team was their response the next year. That following year, Tampa Catholic would gain revenge as they defeated Milton to win the 1976 championship. These dynasty years were marketed by the talent of the players. The first championship year featured 3 future Major League players: John Tamargo, Nardi Contreras, Ricky Puig. Being a private school, players came from all ethnic background as well as different neighborhoods throughout the area. 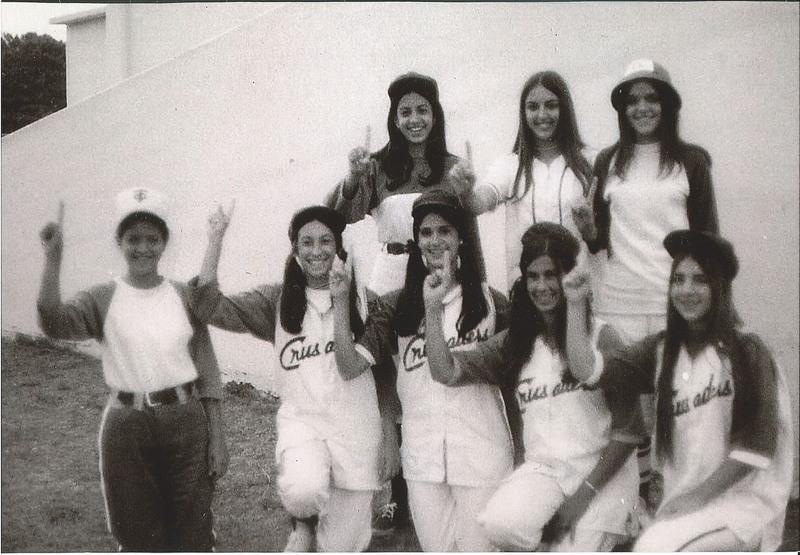 Additionally, being that the school was Catholic, many of the players were of Cuban descent. Yet, there were also Spanish, Anglo, and Italian players as well. In remembering the ethnic background of his players, Mulry remembered that issues concerning ethnicity were almost non-existent. However, he stated that players were more likely to have neighborhood rivalries. 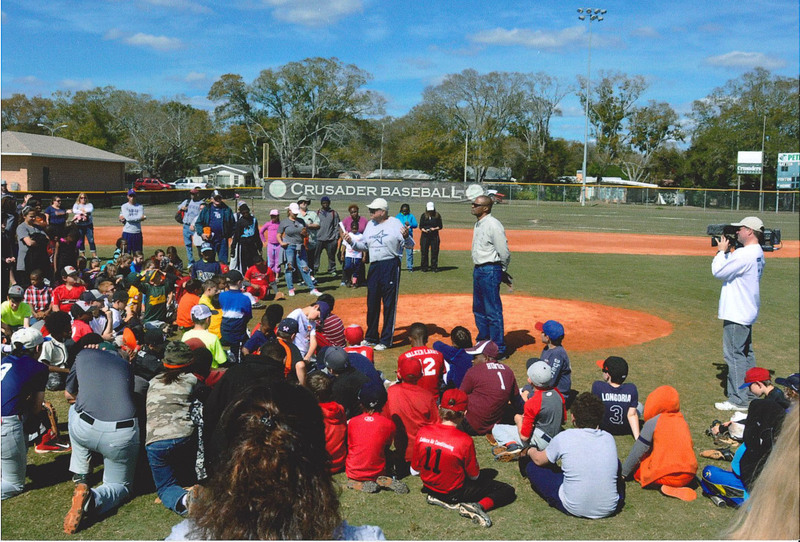 The ball players came from all over the Tampa area and childhood and little league rivalries often followed them to high school. 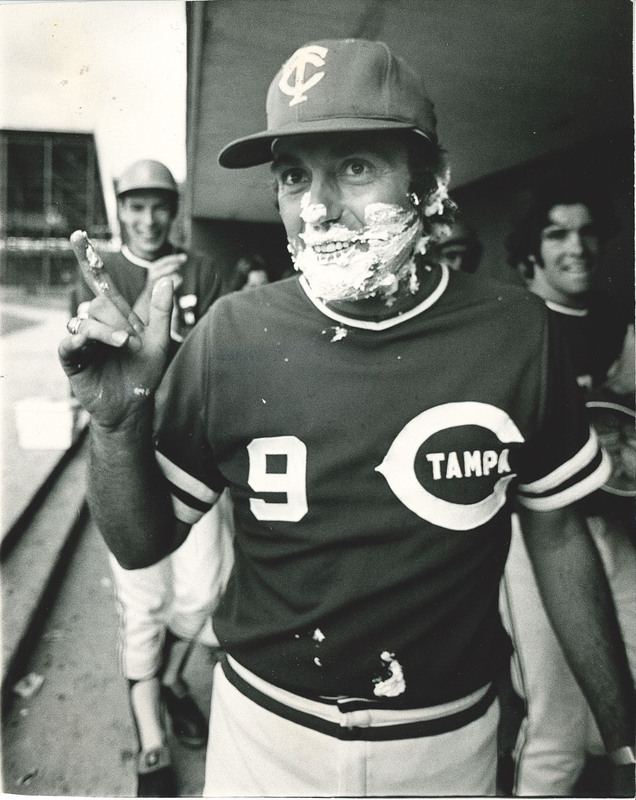 By the 1970s, the meaning and memory of baseball in the city of Tampa had been associated with neighborhoods. Yet, baseball had also become a uniting force that crossed ethnic lines. Mulry left Tampa Catholic in 1980 and took over the coaching duties at the University of Tampa. Ten years later, he would leave baseball and Tampa and go into private business. 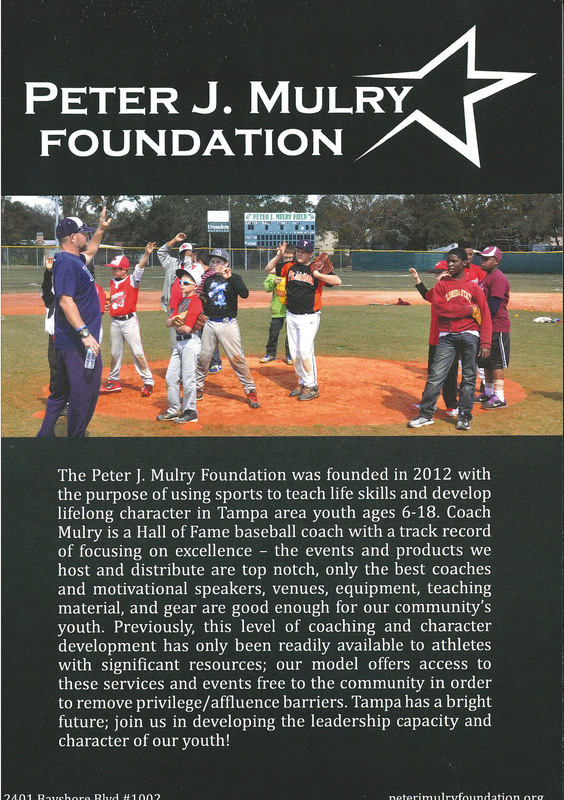 Mulry would return to Tampa and, in 2012, he established the Pete J. Mulry Foundation that gives back to area youths ages 6-18 while fostering a love of the game to a new generation. 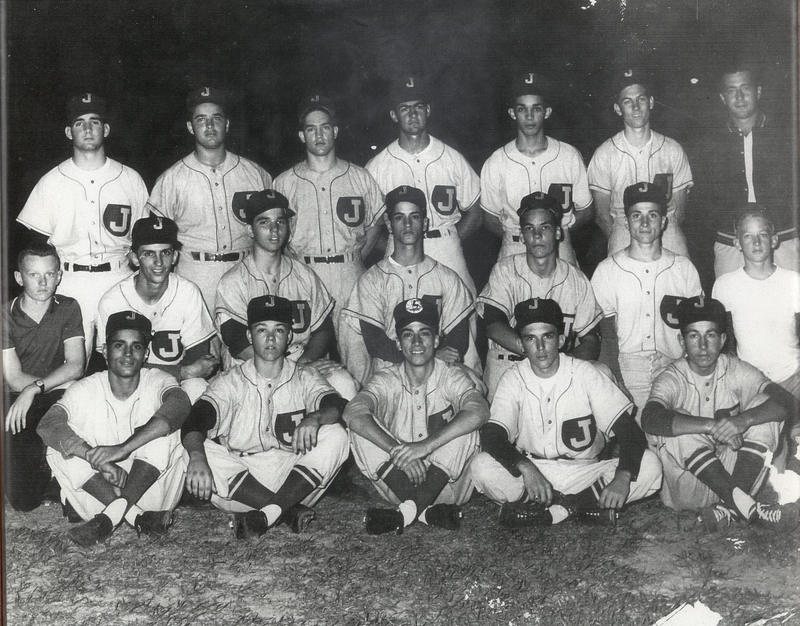 Paul Dunder, “High School Baseball,” Tampa Historical, accessed April 20, 2019, http://tampahistorical.org/items/show/14. Information from this site came from an interview with Pete Mulry created by the author.